Bronze Medal in San Sebastián, 1974. Third award in Bilbao, 1974. Second Accesit Award in the fantasy genre of the VII International Amateur Cinema Trophy of Madrid. Silver Giraldilla in Sevilla, 1975. Filmoteca Vasca list of titled amateur films / Basque Films Project. Film de animación que cuenta la anécdota de un caballero que tiene un encuentro casual cuando se dirige a las Cruzadas. 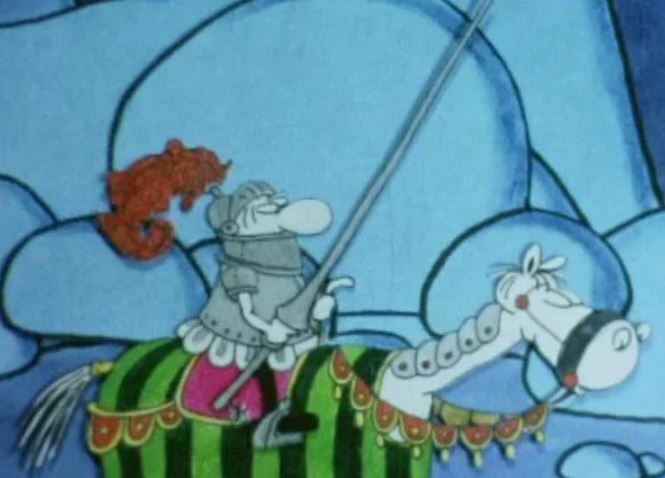 Animated film that tells the story of a knight that has a casual encounter as he travels to the Crusades.